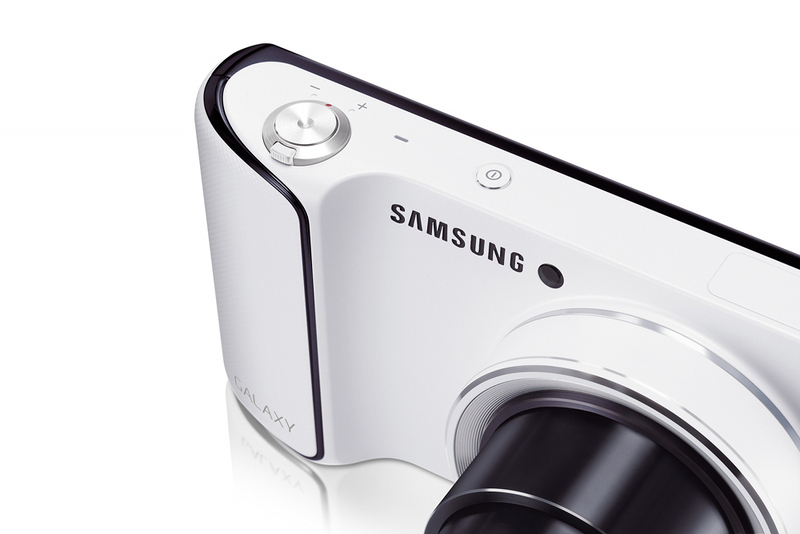 Samsung just wrapped up their IFA Unpacked event, and confirmed the existence of the new Galaxy Camera. It really is a 16MP smart camera powered by a 1.4GHz quad-core processor, with a 4.8″ HD display than runs Android 4.1 (Jelly Bean). Basically, this camera destroys most of your phones when it comes to specs. The real sell here though, is that it’s connected via 4G, 3G, or WiFi so that you can take high-quality pictures with the 16MP 1/2.3” BSI CMOS sensor, while on the go. And rather than having to wait to get home or visit a PC before being able to share with the world, it runs Android, so you can do it all on the fly. It has an automatic cloud backup system, 35 photo editing tools, and a content manager to organize your media by face, into folders, etc. It’s not a DLSR, but man, this thing sounds impressive. The device should arrive some time in October. 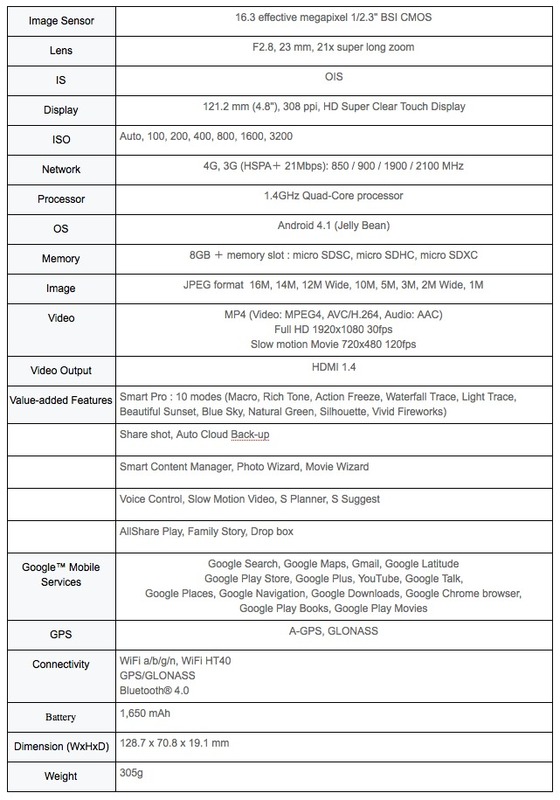 Below we have the specs, an infographic, press release, and additional pictures of the device. 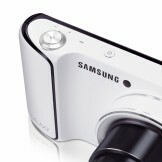 “The GALAXY Camera opens a new visual communication era and shifts a paradigm in communication. With the growth of social networks and the prevalence of smartphones and tablets, people today communicate faster than words. As we increasingly articulate our experiences through pictures and videos the GALAXY Camera has been created to lead the way in this new era of visual communication. Communication becomes more vivid and lively with high-quality images and instant sharing anywhere, anytime,” said JK Shin, President of IT & Mobile Communications Division at Samsung Electronics. The GALAXY Camera’s ‘Smart Pro’ feature makes it easy to recreate advanced photographic setups in just a few simple steps for stunning artistic results. Using the easy-to-navigate menu system, users can choose from a series of preset scenario options which will automatically adjust the camera’s settings in order to capture the perfect photo. For example, the ‘Rich Tone’ setting delivers images with greater intensity – particularly effective for reducing overexposure in bright surroundings, while the ‘Light Trace’ setting automatically controls shutter speed for atmospheric night scenes full of light trails. The GALAXY Camera boasts large and vivid enough camera display – a 4.8”(121.2mm) HD Super Clear LCD screen, which makes it a pleasure to shoot, share and edit images from the palm of the hand. Another advantage of smartphone technology is the Voice Control option which allows the user to control a number of functions such as ‘Zoom in’ and ‘Shoot’ through voice. All these features are housed in a beautifully designed, ergonomic body with the GALAXY Camera’s minimal, organic design complementing its easy-to-use professional features. 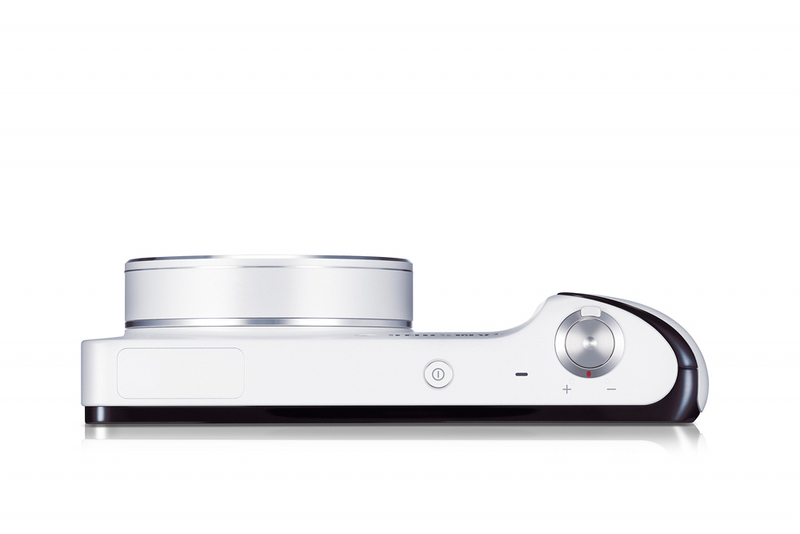 The GALAXY Camera includes a comprehensive set of 35 powerful photo editing features through the ‘Photo Wizard’, allowing users to make professional quality edits on the go. The new features take advantage of the ultrafast quad-core processor and HD Super Clear LCD, giving access to a feature like Auto Face Calibration so edits can be made in precise detail and with ease. The ‘Movie Wizard’ also allows users to create and edit expert-quality videos easily from the touch screen. 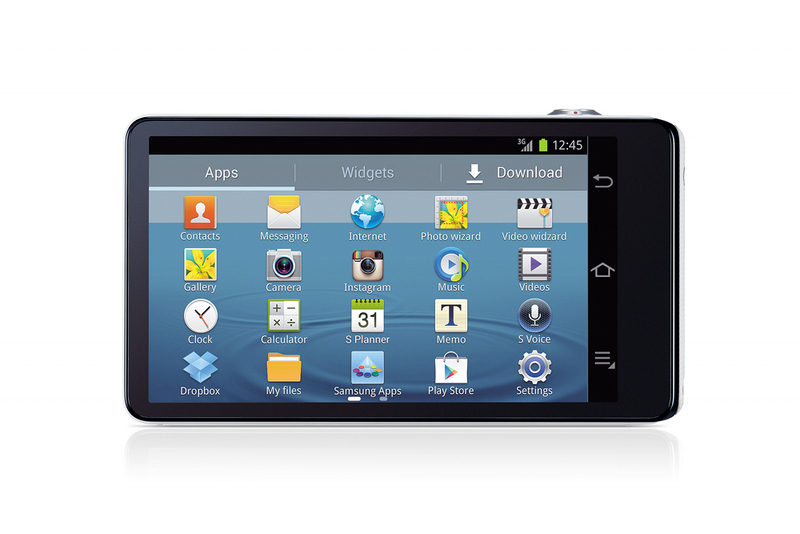 The GALAXY Camera also features ‘Smart Content Manager’, an innovative on-device organization tool which intelligently creates folders, tags faces, and even suggests which pictures to delete when they don’t come out as desired. Thanks to the combination of wireless connectivity and Android™ 4.1 Jelly Bean OS, the internet capabilities of the GALAXY Camera are equal to those of the latest smartphone so that users can get even more enjoyment out of their device. In addition to the pre-installed applications from Samsung, users can browse the web and enjoy any applications from Google Play or Samsung Apps stores. If users are not sure which app to download, ‘S Suggest’ will help them recommend a new photo editing app or fun game to download. The camera’s convenient ‘Auto Cloud Backup’ feature will automatically save precious photos into the cloud via Samsung’s AllShare the instant they are taken. 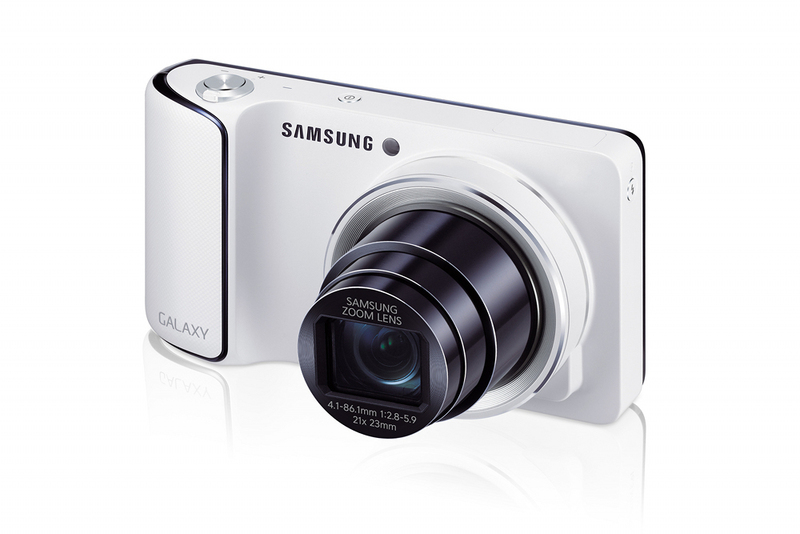 The GALAXY Camera also allows users to share photos at the same time as they shoot them with ‘Share Shot.’ As well as sharing to social networks and cloud services, users can also connect to a range of GALAXY devices including the GALAXY SIII and GALAXY Note II for effortless and automatic sharing of pictures across the GALAXY family. The new device enables connection to 3G or 4G, allowing photo sharing and browsing anywhere. 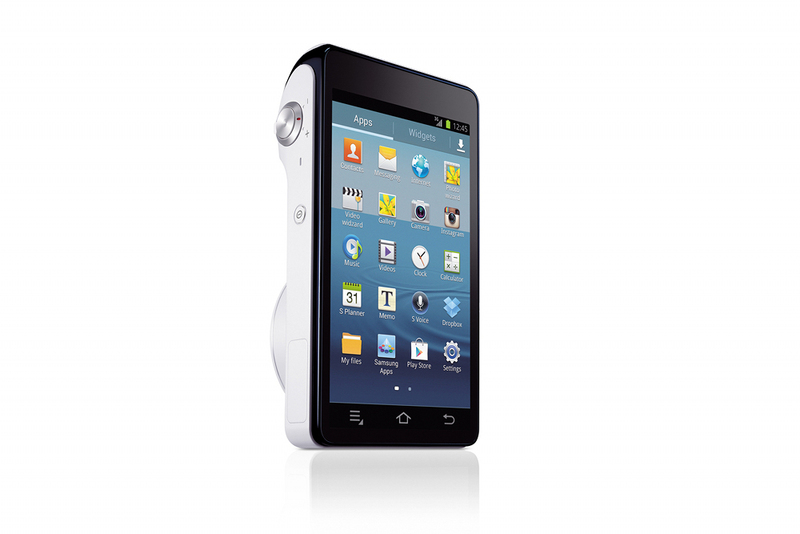 The GALAXY Camera also functions on Wi-Fi with Dual Band and Channel Bonding for extra speed. Connectivity is supported by a quad-core processor that enables fast web-browsing and multi-tasking, as well as high-speed image processing without a significant impact on battery life. 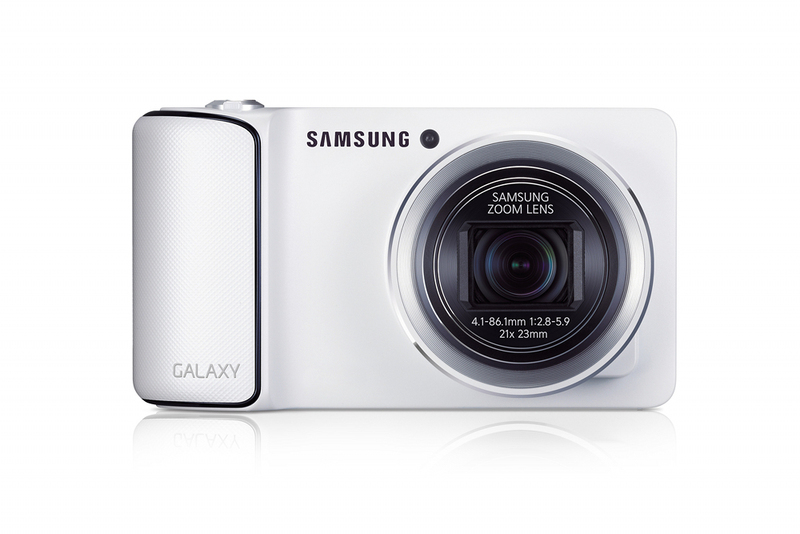 Samsung GALAXY Camera will be on display at the Samsung booth #20 at IFA 2012, Aug 31 through Sep 5.